Meet here the woman with one of the biggest hearts I know, Bella! I met Bella on a shoot in Lisbon, Portugal. Back then she was one of the grapic designers for this company. She still does lots of creative things, but now a days she works for PETA and Vegan City Nights! Read her amazing story! When I was a little girl my family and me used to spend our holidays in France. I remember that one day there was a man at the beach, who was shouting at his dog and strangled it by brutally pulling its leash. The dog was literally hanging on that leash and its feet struggled in the air. Seeing that gasping dog made me very angry, but I was too afraid to do anything. Suddenly my father jumped up and yelled at that man like crazy and told him not to torture this animal. – I’m pretty sure the world stood still at that moment and I’ve learned never to be silent, because animals can’t speak for themselves. Many years later I saw an undercover slaughter video of the animal rights organization PETA for the first time and asked myself, why I cared for dogs or cats, but supported the cruelty against other sensitive and intelligent beings by eating meat. Honestly, who are we to decide, which animal is supposed to live and which animal is supposed to die, which one is a beloved “pet” and which one is “livestock”? Over 30 chickens have to “live” on one square meter for their whole short life if they weren’t sorted out as a baby and put in the shredder machine (www.facebook.com/gary.yourofsky/videos/893035147418401 ). People feed large amounts of antibiotics and drugs to keep them alive in conditions that would otherwise kill them. After 5 or 6 weeks they are killed and transformed into food, although they could become 20 years old! But that’s just one example in a million: so many different animals are tortured in so many different ways and besides that the meat industry destroys our planet . We have supermarkets full of delicious foods and we don’t depend on eating animals anymore. After thinking about these things I’ve decided not to support this cruel industry anymore and I became a vegetarian. After a few years I also realized that cows give milk for the same reason as human beings, in order to feed their babies. So we actually drink mother’s milk of another species. Because of this, calves are torn away from their mothers within 1-3 days after they are born. Male calves are killed, females will also spend the rest of their lives as milk machines . (http://www.peta.org/features/dairy-industry-cruelty/ ) I also read that millions of male chicks are killed by the egg industry every year. 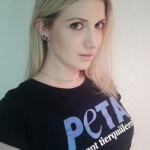 (http://www.peta.org/features/egg-industry-cruelty/ ) – That was enough information for me to become vegan. 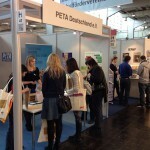 In the last months I also supervised an information booth (https://www.facebook.com/PETADeutschland/photos/a.10150256067508643.343437.90035328642/10153154505848643/https://www.facebook.com/PETADeutschland/photos/a.10150256067508643.343437.90035328642/10153154505848643/ ) and sang vocals to one of our animal rights videos (https://www.youtube.com/watch?v=hxnIfMRxhJshttps://www.youtube.com/watch?v=hxnIfMRxhJs ). Besides singing I love to cook. I’m still thrilled how delicious vegan food can be. 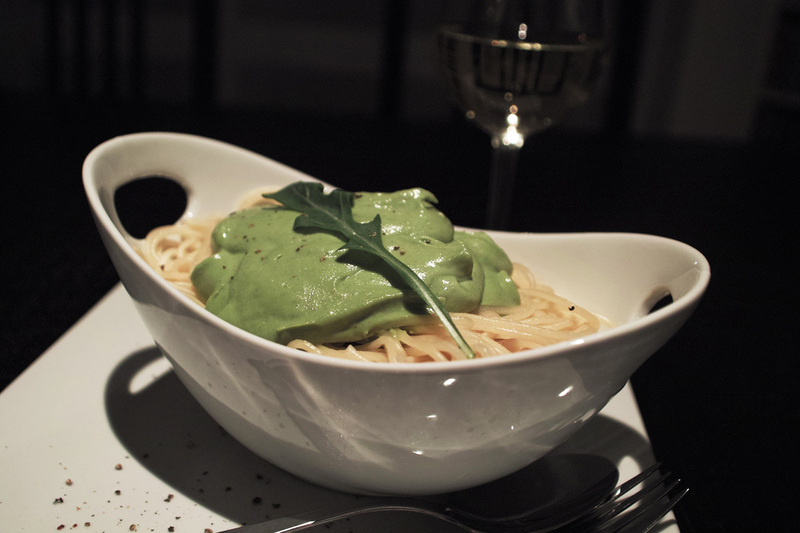 You can find my recipes on my personal blog Vegan City Nights. (www.vegancitynights.dewww.vegancitynights.de // https://www.facebook.com/vegancitynights/?fref=tshttps://www.facebook.com/vegancitynights/?fref=ts ) Just tell me, if you need some of my recipes in English, I would love to translate them for you. Enjoy! And in case you’re wondering: There is no nutritional need for humans to eat any animal products. Cutting animal products from your diet is even healthier.